This is the funniest book I've ever read. 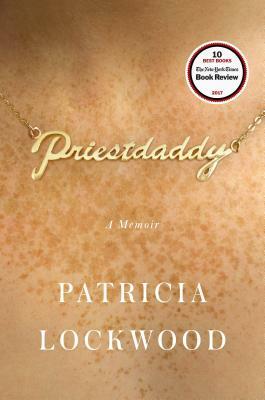 Poet Patricia Lockwood's memoir is wacky and touching. She intersperses this hilarious tale of the midwest with beautiful images, life learned, and compelling portraits of her close family, most notably her bizarre father, who happens to be a Catholic priest. This book had me laughing from the very first page, giggling on the train home with no shame. The very next day I was crying in the office on my lunch break as I finished the book. You get the whole spectrum of emotions with this one! The best memoir I've read in a long time.